What other Zelda games should I play? Breath of the Wild has ignited an interest in Zelda games that no other game has been able to do. 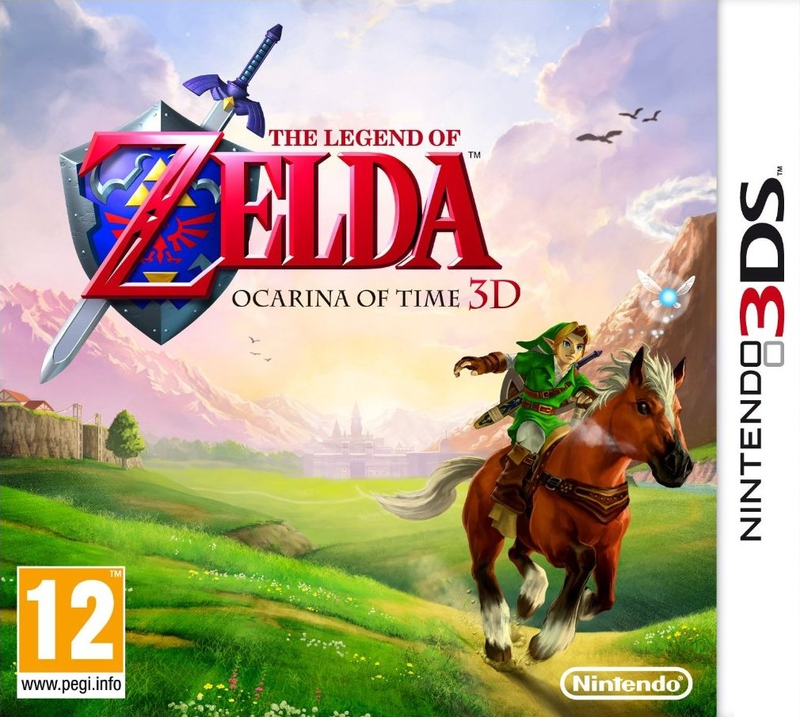 As I’ve said before, my first experience with Zelda came from renting Ocarina of Time as a pre-teen and being completely confused about what I was supposed to be doing. Even then, part of me was mesmerized by the art and music, and I enjoyed running around the world so much that I rented it twice and just poked around in other people’s saves, not really getting anywhere in the game. I tried to go back to Ocarina of Time once or twice in recent years, and but I ultimately got put off by the clunky feeling controls and my inability to competently fight off most enemies. I also didn’t have the patience to try to figure out what exactly I was supposed to be doing as the game didn’t make it very clear (yet unlike Breath of the Wild there are many roadblocks preventing you from doing anything you want at any time). Now, however, I’m interested in checking out a few of the other Zelda games. I don’t really want to try out Majora’s Mask as it seems too much like Ocarina, which, unlike a majority of gamers, I’m just not into. Instead, I’m somewhat curious about Windwaker and Twilight Princess. I figure these games could allow me to get some more use out of my Wii U after I finish Breath of the Wild, and I’ll be able to see how the series has matured into its more modern state. Which game do you think I should start with after Breath of the Wild? Which is the most accessible? I understand the recent games are often looked down upon, but part of me wonders if the negative perception is more from fans of the series and could easily be looked past from an outsider like me. 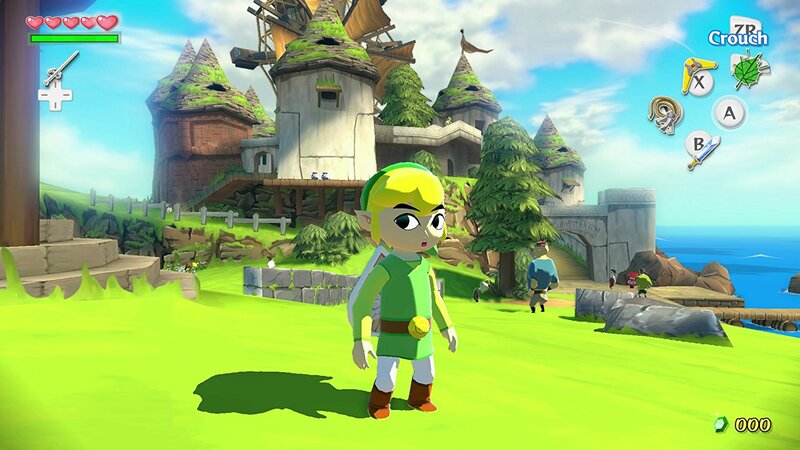 Should I dive into Zelda’s past, or will playing anything after Breath of the Wild only disappoint? 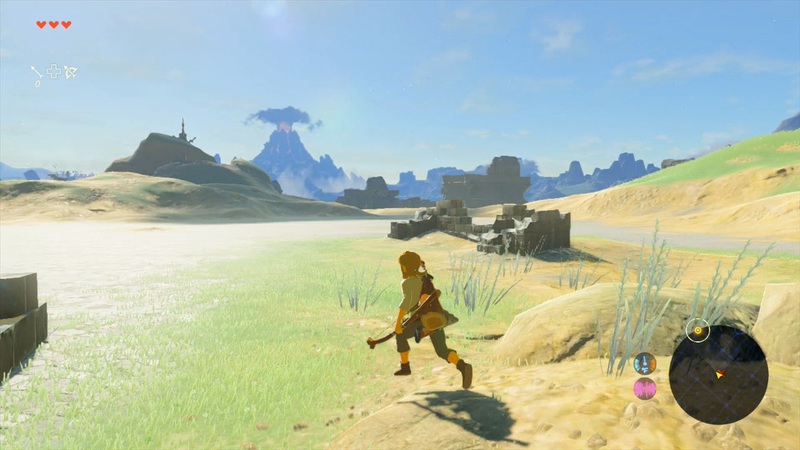 Check out Austin Walker’s non-review of Breath of the Wild on Waypoint, especially the audio version (available at the top of the article). Austin’s write up is beautifully written, but it’s especially mesmerizing in its audio form. The way it’s read by Austin made me feel like I was listening to something on NPR. His voice is soothing, yet you can hear his enthusiasm about the game in every single sentence. If you weren’t sold on the game before, listening to his story might just do it for you. Even if you’re not interested in Zelda at all, I still recommend listening to the story, as it’s an incredible piece of video game journalism. 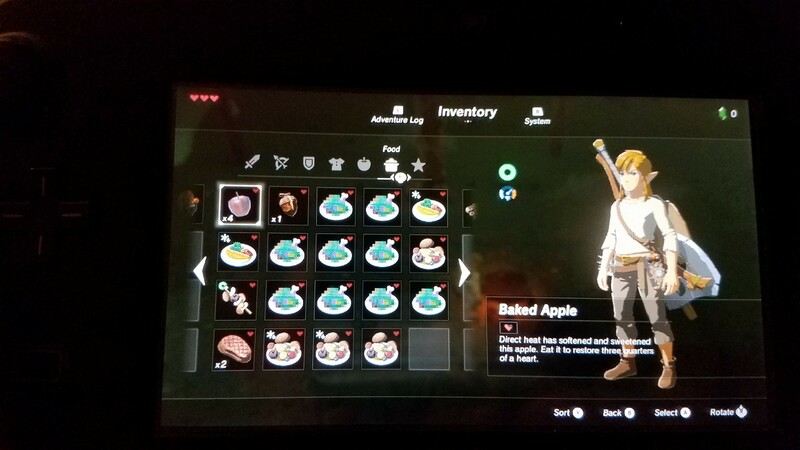 Tonight I finally got around to playing some more Breath of the Wild, and I was able to learn some valuable lessons. I started out by heading out toward a spot I marked on my map, up on top of a mountain. I figured I’d try to take a somewhat direct route, and I started climbing some pretty sharp and jagged cliffs. I made sure to scope out an area which had a few resting points so that I could recover stamina on the way up. What I didn’t account for, however, was the drop in temperature that would occur as I got close to the summit. As I neared the top I started to see snow, and was greeted with a notification warning me that if I didn’t find warmth I’d start to lose health. The game wasn’t messing around, because less than 30 seconds later I started losing health in half heart chunks! I immediately tried to make my way back down the mountain, however I couldn’t seem to climb fast enough. I wasn’t thinking clearly, and rather than trying to eat a few apples to slow my impending death, I decided to continue climbing down as quickly as possible. By the time I reached the second point in which I could rest, Link keeled over and his dead body rag-dolled down the mountain before I was met with a ‘game over’ screen. 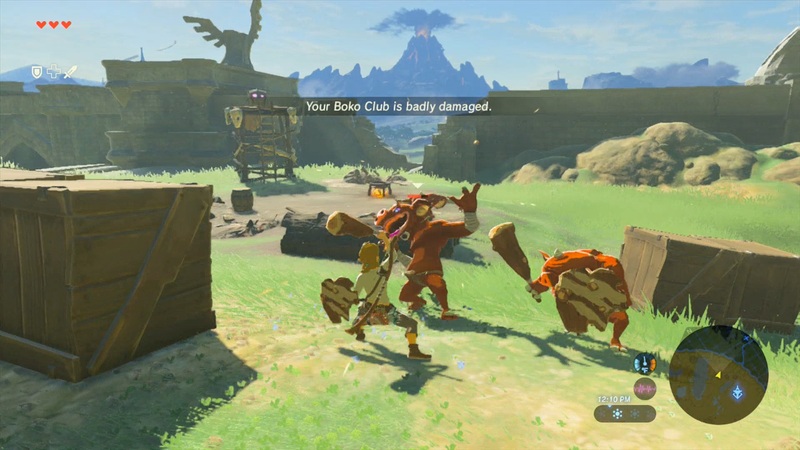 Usually dying in frustrating ways in video games angers me and causes me to want to stop playing the game, but fortunately Breath of the Wild has a generous auto save system and rather quick load times ensure you’re right back in the action, near where you left off. This meant that I respawned on one of the resting points, and I was able to climb to safety below. Once I reached level ground I decided I’d better find another way to reach the shrine high above, and I started wandering around the area. It was then that I ran into the old man, chopping down some trees near an impassable gap. He mentioned something about being mindful of how you chop down a tree, and this led me to believe that I could somehow chop down a tree to use as a bridge to cross the chasm, thus putting me more directly beneath the shrine I was trying to get to (and possibly further away from the snowy parts toward the east that I ran into earlier). 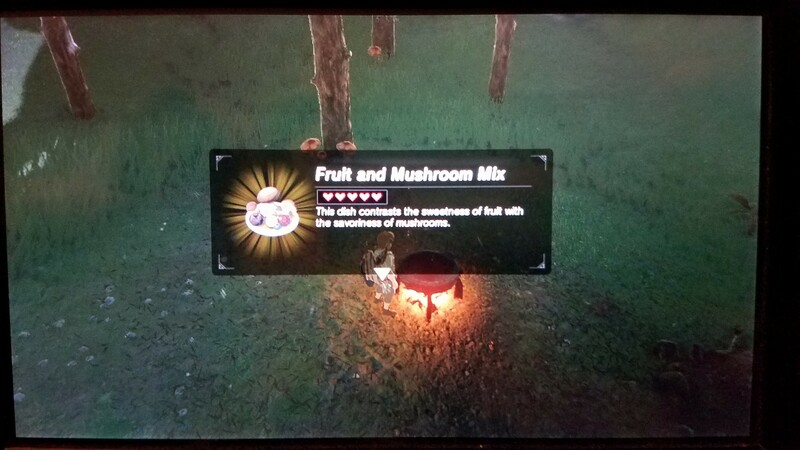 Unfortunately, after chopping down three trees I was unable to get them to bridge the gap (I assume it’s possible, but I just had bad luck), however not all was lost because I followed the old man back to his campfire where I learned how to cook. It turned out that learning to cook would prove incredibly important, especially if I wished to survive the cold of the mountain peak above. I whipped up some dishes that will give Link temporary cold resistance by throwing some chili peppers into a pot alongside other random ingredients. I also ended up with several dishes that will heal more hearts than I currently have, which is pretty cool. Yet I also ended up with a huge stockpile of barely edible dishes that “shouldn’t” hurt me. This series of events tonight really helped to show just how amazing Breath of the Wild can be. Everything that happened to me was entirely unscripted. There was no forced tutorial teaching me how to cook, but rather a chance encounter after a reckless attempt to scale a mountain went south. When I learned that I could combine chili peppers with other ingredients to grant cold resistance, I had an “AHA!” moment that I’ve rarely experienced in modern video games. Suddenly the cold weather above would no longer prove to be a deterrent. Despite gaining the tools I needed to have another crack at scaling the mountain, I instead decided to head in the opposite direction and tackle one of the other shrines I marked on my map. I ended up running into the bomb shrine (Ja Baij). 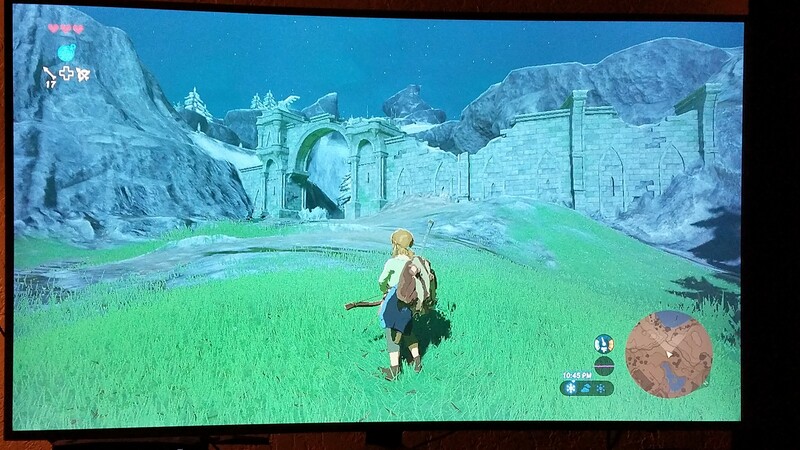 This shrine was pretty quick, easy and painless, though I managed to die a few times on the outside before heading into the trial. After I completed the trial, I warped back to the Shrine of Resurrection and once again set my sights on the snowy path standing between me and the shrine I originally set out to find. That’s where my adventure ends tonight. I decided I will venture into the brutal cold another time, but I’m still in awe at just how much can happen in Breath of the Wild. I feel like nothing will ever go exactly as planned, and each time I pick up the controller I’ll be left with a different story to tell. I can’t wait to see what lies ahead, and I hope to continue sharing my stories with you. I’ve never been a huge Zelda fan, but with the release of the Switch and the huge amount of hype leading up to the release of The Legend of Zelda: Breath of the Wild, I figured I needed to see what all the excitement was about. I never did get into Ocarina of Time on the N64. I rented it a few times, but as an impatient eleven year old I never could figure out what I was supposed to be doing. Even in recent years I’ve tried to give it another shot, but often found myself running in circles trying to figure out what to do, or if I did find myself headed in the right direction I would repeatedly die at the hands of the enemies I’d encounter. My time with Breath of the Wild so far has been pretty positive. First off it looks great, with a beautifully unique art style and it runs relatively smoothly even on the Wii U. I absolutely love the way they handle the map in the game, where you do all of the icon placement yourself. This keeps the map from becoming overwhelming early on, as you can climb a tower, mark a few things on your map and then set out to see what you’ll find there. That doesn’t mean you won’t get sidetracked along the way, however. I’ve found myself headed toward a tower or shrine, only to veer off in a different direction when a camp of enemies catches my eye. The game has a reputation for being a little difficult, and that may prove to push me away from the game eventually. I’ve died a handful of times in my first hour or so with the game, but the quick reloads into a recent autosave make it more bearable. Oftentimes I’ve found that I died because I’m rushing into combat with multiple enemies and missing a way to use the environment to my advantage. One other minor gripe, is that the Wii U version completely ignores the gamepad. I assume it’s because Nintendo has basically abandoned the Wii U at this point, which is a shame, because there are many ways they could have effectively used the gamepad, and therefore justified its existence one last time. 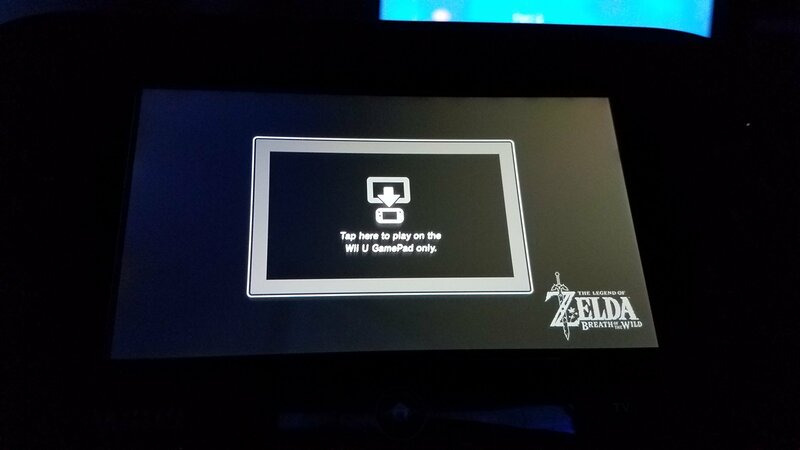 Of course you can play the game on the gamepad (though I’ve found this seriously detracts from the game’s beauty), but otherwise you’ll just get a black screen with a message telling you that you can play on the gamepad. I’m looking forward to spending more time with Breath of the Wild, but at the same time Horizon Zero Dawn is also calling my name (and Mass Effect Andromeda is quickly approaching). 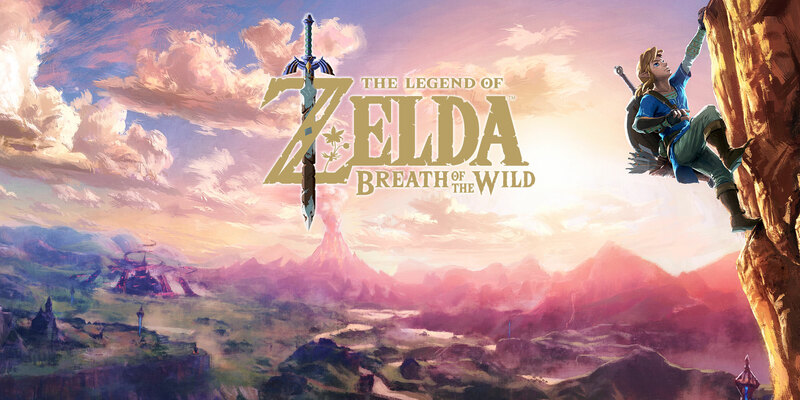 If you have a Wii U and want to dust it off one last time, I can definitely recommend picking up Breath of the Wild for it.